Can Chewing Tulsi leaves Be harmful? Tulsi, also sometimes referred to as ‘Holy Basil’, is an aromatic herbal plant. 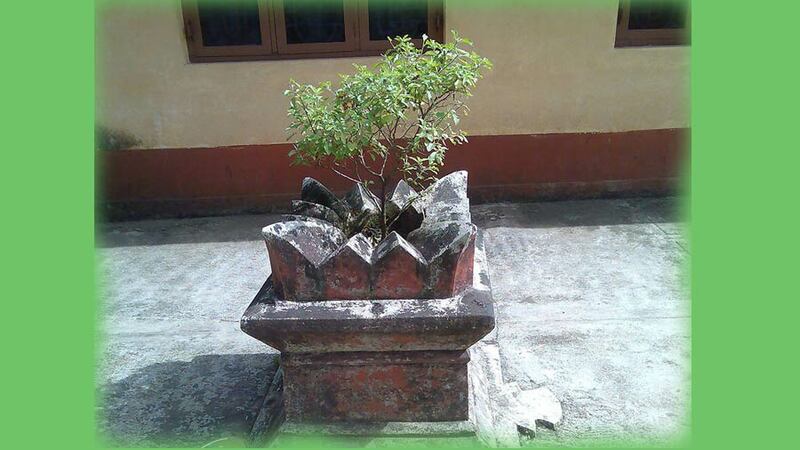 This plant is mainly cultivated for religious and Ayurvedic medicinal purposes, and for its essential oil extraction. In the Hindu religion, people believe that it is an imaginable appearance of goddess Tulsi, a wife of the Lord Vishnu. Its botanical name is Ocimum Tenuiflorum. Tulsi is mainly used as an indigenous medicinal ingredient. Tulsi is undoubtedly one of the best medicinal herbs that have been discovered. Even going close to a tulsi plant can protect one from many infections. A few leaves mixed with drinking water or food can purify and kill the many germs within. Even smelling Tulsi leaves or keeping it planted in the home can protect the whole family from infections, cough, cold, and other viral infections. It is believed that Tulsi has health beneficial effects against headaches, inflammation, cancer, common colds, malaria, and heart disease. It is also important to prevent food poisoning. Holy basil or Tulsi is highly nutritious and is a good source of potassium, calcium, magnesium, phosphorus, and vitamin C. It also contains iron, sodium, zinc, thiamin, folate, and vitamin B6, A, and K.
Tulsi is an excellent antibiotic, germicidal, fungicidal, and disinfectant agent and protects the body from all sorts of bacterial, viral, and fungal infections. Tulsi has the ability to destroy all bacteria, viruses, fungus, allergic substances etc. that may result in fever. Tulsi gives miraculous relief from congestion due to the presence of components like camphene, eugenol, and cineole in its essential oils facilitating smoother breathing. It is therefore very effective in curing almost all respiratory disorders including bronchitis and Asthma. Different scientific studies have shown that various extracts of Holy basil can be used to decrease the levels of stress hormones, particularly Corticosterone. Holy Basil functions as an adaptogen which enhances the body’s natural response to physical Stress and Anxiety. Holy Basil helps the body function properly and optimally during Anxiety. If you have a congested chest or you have a medical history of Bronchitis or asthma, pluck 15-20 leaves of tulsi daily and wash them. Then boil them in half a liter of water. When half of it remains, drink it in parts 3-4 times a day. It also works wonders even during a bout of viral attack when one has a congested chest. Tulsi leaves contain vitamin C and other many other antioxidants such as eugenol, which protect the heart from the harmful effects. Further, its component eugenol helps in reducing the cholesterol levels of the blood. Thus chewing a few Tulsi (Holy Basil) leaves on empty stomach will prevent and protect all heart ailments. Tulsi, being a detoxifier and a mild diuretic, helps to reduce the uric acid level in the body, the main cause of kidney stones in the body. It also helps clean out the kidneys through increased frequency of urination. Tulsi essential oil has certain components like acetic acid that facilitate dissolution of the stones. Tulsi leaves are good for the liver, and even help protect the liver from drug-induced damage. Holy Basil has got an amazing quality of boosting up the immune system of the body. It protects against nearly all infections from viruses, bacteria, fungi, and protozoa. Recent studies have shown that it the holy basil leaves may be helpful in inhibiting the growth of HIV and carcinogenic cells. Wash the eyes daily with a few leaves of Tulsi soaked in water will help one to treat conjunctivitis, boils, and many other problems of the eyes. It also soothes eye inflammation and thus reduces stress. Its high antioxidant content of essential oils and Vitamins can protect the eyes from the damage done by free radicals, such as cataracts, macular degeneration, glaucoma, vision defects, and ophthalmia. Essential oils of Tulsi, which are highly antibiotic, disinfectant, antibacterial, and antifungal in nature cure skin disorders both internally and externally, without any side effects. By simply applying the paste of its leaves on an infected area of the skin will help in case of skin diseases. consuming Tulsi leaves also help manage to keep the skin free from all infections. Tulsi has got a special significance in relation to females. It is simple because Tulsi controls the hormonal cycle of them. Hormonal cycle means the period of menstruation every month. This is the reason females in India worship Tulsi. Tulsi has also got the property to cure and correct these seminal defects in males as it regulates the secretion of the hormone testosterone. There is oil on Tulsi leaves. Dust collects on it in the day. So first it should be given a good bath. Pour water on the Tulsi. The dirt is washed away along with the oil, but after two or three minutes the oil again appears on it. Then take 3 or 4 Tulsi leaves as prasad. This is the process of using Tulsi. Tulsi leaves contain a high amount of mercury and iron, which are released on chewing them. These minerals are known to damage the teeth and cause discoloration of them. Tulsi is worshipped and is grown in many Hindu households as this humble and inexpensive herb comes loaded with a host of benefits. From warding off some of the most common ailments as we read above, to strengthening immunity, fighting bacterial & viral infections, to treating various hair and skin disorders, use of just a few leaves of Tulsi can help resolve a host of health and lifestyle related issues.